Raymond Dales Wortley was born on 13 December 1891 in Paola, KS. He was the son of John Robert and Bonnie Grace "Young" Wortley. Raymond Wortley was the idol, and boon companion of his grandfather who was a Lieutenant in the Civil War. When his grandfather was buried at the old soldiers' home, young Wortley was imbued with all-absorbing aspiration of a military career. At the age of 11 years he was confronted with the responsibility of his widowed mother and the support of a family of five children. At the age of 18, he joined Co. A, 7th Regiment, California National Guard. His whole time and thought was devoted to military study and organization. He was active in organizing the 7th Reg. 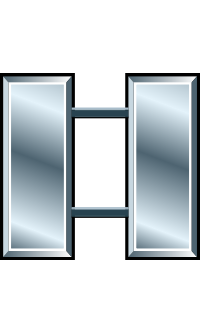 Machine Gun Co. and received a commission as Lieutenant. 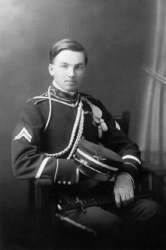 In August 1915 he resigned from the National Guard and joined the Regular Army as a Private. One year later, he was commissioned as a Second Lieutenant and at the officers school at Fort Leavenworth, KS, he was recommended for promotion to First Lieutenant. He was assigned acting Captain in Pershing's Division and soon received a commission as Captain. He was wounded twice. The last word received from him was that he was serving as a Major. While leading the 2nd Battalion of the 1st Division. Organization (Company & Regiment: CO. "A" & "H" 26th Inf. 1 Div. in France, he was shot by a machine gun through the lungs. Cited for gallantry in action and for his brilliant leadership of his battalion. (Citation Order No. 5, A.E.F. California's Honor Roll. Raymond Dales Wortley was killed in action on 6 October 1918. He is buried at Arlington National Cemetery in Arlington, VA, in Section 3, Grave 4473.